The Tifosi Blockade sunglass features Swivelink technology to make changing between the three included lenses fast and easy. It is made of Grilamid TR 90 NZZ, a homopolyamide nylon characterized by an extremely high alternative bending strength, low density, and high resistance to chemical and UV damage. It has hydrophilic rubber ear and nose pieces for a no-slip fit. The ear and nose pieces are adjustable to provide a customizable and comfortable fit. The Tifosi Z87.1 Blockade Matte Black Tactical Safety Sunglasses - Smoke/HC Red/Clear has many exciting features for users of all types. 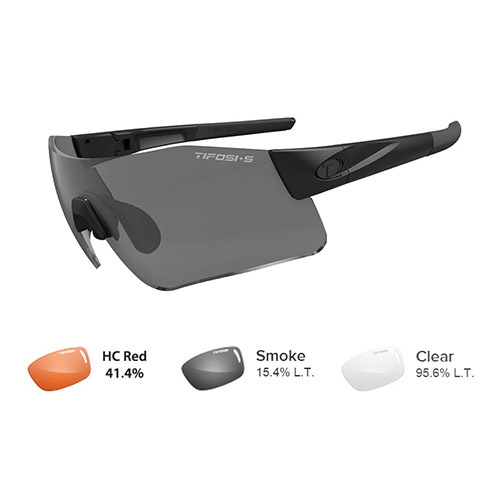 You can extend the lifetime of your Tifosi Z87.1 Blockade Matte Black Tactical Safety Sunglasses - Smoke/HC Red/Clear with the purchase of a FactoryOutletStore Factory Protection Plan. 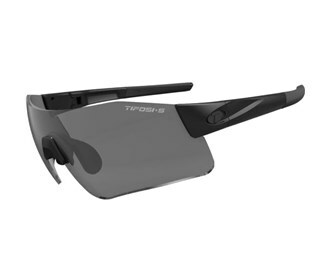 See the Tifosi Z87.1 Blockade Matte Black Tactical Safety Sunglasses - Smoke/HC Red/Clear gallery images above for more product views. The Tifosi Z87.1 Blockade Matte Black Tactical Safety Sunglasses - Smoke/HC Red/Clear is sold as a Brand New Unopened Item.